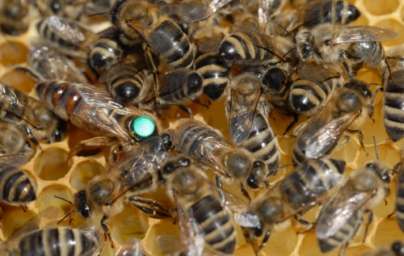 If you were a queen bee, you’d be laying about 1500 to 2000 eggs today. It’s your busy season. “She’s an egg-laying machine,” said bee breeder-geneticist Susan Cobey of the Harry H. Laidlaw Jr. Honey Bee Research Facility at UC Davis. “And she’s the mother of all the bees in the hive.” During the peak season, that amounts to about 50,000 to 80,000 workers (sterile females) and 1000 to 2000 drones (males). A beehive is an enclosed structure in which some honey bee live and raise their young. 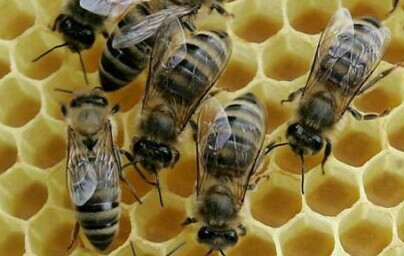 Natural beehives are naturally occurring structures occupied by honeybee colonies, while domesticated honeybees live in man-made beehives, often in an apiary. These man-made structures are typically referred to as “beehives”. Several species of Apis live in hives, but only the western honey bee (Apis mellifera) and the eastern honey bee (Apis cerana) are domesticated by humans. The Honey bee has been known to the human race for many thousands of years. There is a very old educational painting in a rock shelter in Spain depicting bees. Stone Age man ate honey which he stole from the nests of wild bees. 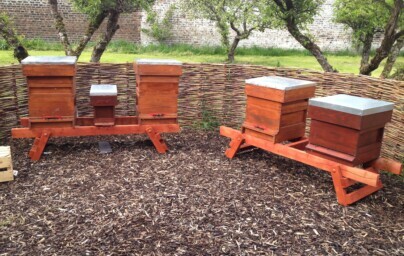 Bees were first kept by man in hollow logs with sticks to support the honey combs. Later man kept bees in straw baskets called ‘skeps’ and today, bees are kept in standard hives. 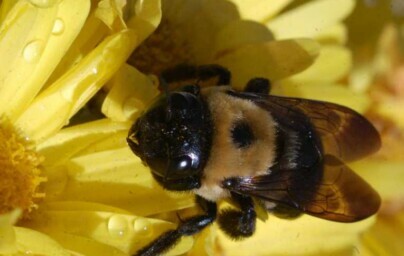 Bumblebees are social insects that are characterised by black and yellow body hairs, often in bands. However, some species have orange or red on their bodies, or may be entirely black. Another obvious (but not unique) characteristic is the soft nature of the hair (long, branched setae), called pile, that covers their entire body, making them appear and feel fuzzy. Honey is produced by bees as a food source it is a mixture of sugars and other compounds. Honey contains tiny amounts of several compounds thought to function as antioxidants. The painting is a Mesolithic rock painting, showing honey-hunters collecting honey and honeycomb from a wild bee nest.